The oldest player on the Colorado Avalanche at 33 already has scored a career-high 17 goals with one-third of the season left to play. The native of Malmo, Sweden jested he’s playing his best hockey these days because he likely doesn’t have many seasons remaining. It certainly appeared Soderberg didn’t have much time left after he only produced six goals and 14 points in 2016-17. But despite his poor campaign, Soderberg was named to the Swedish national team for the 2017 IIHF World Championship and won a gold medal. He returned to Colorado last year with a new lease on his hockey life. He was a healthy scratch for the season opener but once he found himself in the lineup he responded with a 16-goal campaign to match the career-high he piled up in his first full season in the league with the 2013-14 Boston Bruins. His renaissance made him the Avalanche’s nomination for 2017-18 Bill Masterton Trophy, awarded to the player who best exemplifies the qualities of perseverance, sportsmanship and dedication to the game. The good vibrations continued for Soderberg this season, especially when he recently caught fire with five goals in his final eight games before the NHL All-Star break – including his first NHL career hat trick. Moser (and the team!) are exponentially more excited than Carl Soderberg about his first career hat trick. Despite not making the Swedish under-20 team for the World Junior Championship in his draft year, Soderberg did manage to lead the Swedish junior league in scoring with the 2003-04 Malmo Redhawks with 23 goals and 48 points in 27 games. That was good enough for the St. Louis Blues to select him in the second round (49th overall) in the 2004 NHL Draft. Soderberg attended his first training camp in St. Louis two years later. But he failed to crack the Blues roster and returned home to play for Malmo IF in the Swedish Elite League. He enjoyed a strong start with 12 goals and 30 points in 31 games only to be derailed by a serious eye injury. In a January 2007 game, an opponent tried to lift Soderberg’s stick but missed and caught him in the left eye underneath his visor. Soderberg suffered a detached retina. All of a sudden, his hockey career was in jeopardy at age 21. 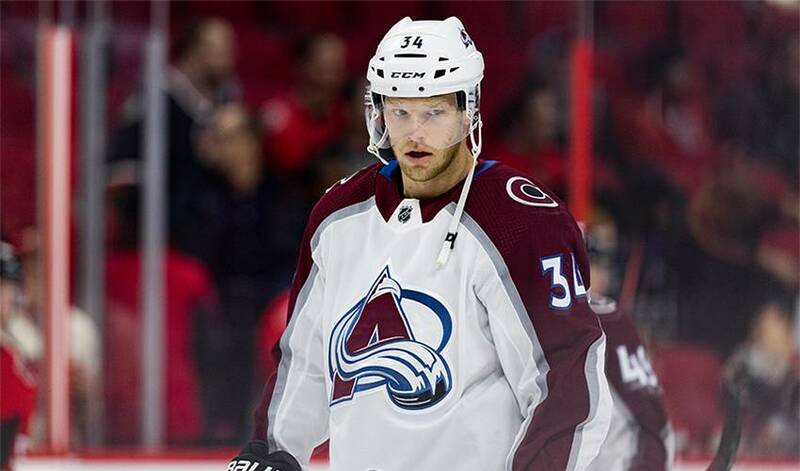 Soderberg was hospitalized for three months after the incident. He required a few surgeries but his vision never fully returned to 100 percent. He said the best way to describe the sight in his left eye these days is “blurry” with 20-80 vision. The biggest hurdle, according to Soderberg, was to accept what happened to him. Once he accepted his injury he felt he could give hockey a try again. He dropped down a league in Sweden for four seasons before feeling comfortable enough to give the Swedish Elite League another try. In the meantime, the Blues had traded him to the Bruins for goalie Hannu Toivonen in the summer of 2007, even though Soderberg’s career had stalled. He took his time and regained confidence, finally arriving in Boston at the end of the owners' lockout-shortened 2012-13 season. He suited up for six regular-season games and a pair of playoff games in Boston’s march to the final against the Chicago Blackhawks. The Bruins first had him play left wing. But when he was moved back to his natural position of centre he found it a better fit because of his vision problems.